Learn What it Takes to Self Publish and Create 10 #1 Amazon Best Selling Books All While Travelling The World! Ever wondered what it would be like to travel the world for free, for as long as you want, staying as long as you would like in any one destination? Then this interview with Gundi Gabrielle is for you. Listen in to hear from a 10 x best selling author on Amazon, Gundi Gabrielle, and her thoughts on how to self-publish, and how to have your business on Auto-Pilot! Gundi’s favourite places on earth! Travelling the world really changes your outlook on life. In this interview with Gundi Gabrielle, we go into depth about her travels in Spain, Bali, Thailand and in South Africa, it reminds me of my own travels. Recently, in Ep 036: Jim Rogers, we talked about the most dangerous places to travel alone. Gundi Gabrielle shares some of her stories about places that she was told NEVER to travel to, and just using common sense she was able to view the amazing scenery and meet the most wonderful people. Had she listened to all the naysayers she never would have lived her dream. Don’t let fear stop you from experiencing the wonders of our world. Have you been to your Urgent Countries? This is a great question for so many of you? Have you seen all you want to see? Are you just at the beginning of your travel life or have you done all you want to do? Mikkel & Gundi talk about all of the countries they’ve been to and where they still want to go. We talk about a power launch; how to write your first book and become #1 best seller on Amazon in just 4 weeks. Don’t think it can be done, Gundi will tell you differently. What does your business look like on Auto Pilot? Would you like your business to be on Auto Pilot…every day you wake up and someone has either purchased a book or one of your courses? Make sure you listen carefully, Gundi tells us all how she has done it and how you can too! I loved doing this interview with Gundi Gabrielle! From being a Classical Musician that needed a change to Cat Sitting in South Africa to finally having her amazing business SassyZenGirl on autopilot! Wow! What an amazing life Gundi has created for herself! For all of you that wonder ‘what else is there’, make sure you listen in as Gundi Gabrielle walks us through what it takes to leave a job that no longer satisfies the needs you have and to create a really nice life for yourself with some well thought out plans.  I hope you get as much value from this interview with Gundi Gabrielle as I did… and if you would like to stay up to date with all new content that comes out at The Expat Money Show make sure you sign up for our Newsletter below. Some of my best stuff comes out by email and I don’t want you to miss it!